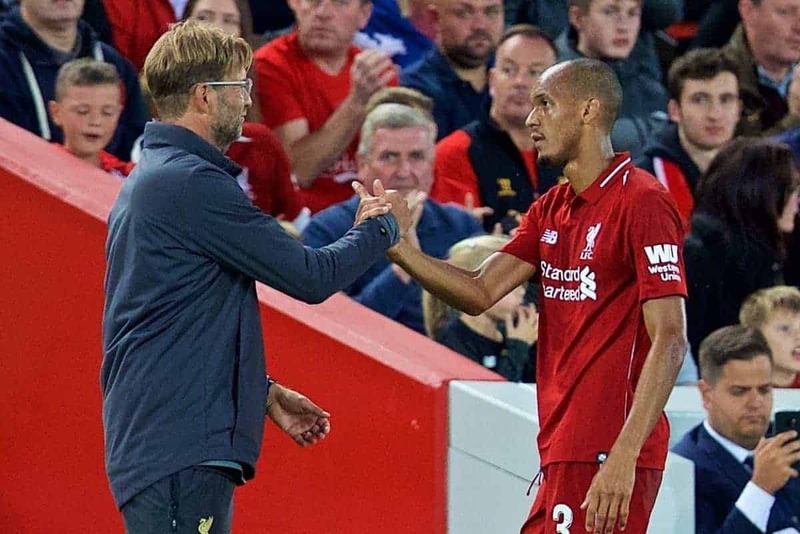 Fabinho on title-winning, tactics under Klopp & importance as Liverpool's "lighthouse"
Fabinho has become a critical part of the team in the second half of the season and his title-winning experience could prove crucial for Liverpool. The Brazilian midfielder has grown in stature over the past few months, now a fan-favourite and an integral member of the starting lineup. From his holding role he has had a dual impact: further strengthening the defensive line, as well as freeing the other midfielders to have a good impact in attack. Jordan Henderson has been a particular recent beneficiary of Fabinho‘s excellence. 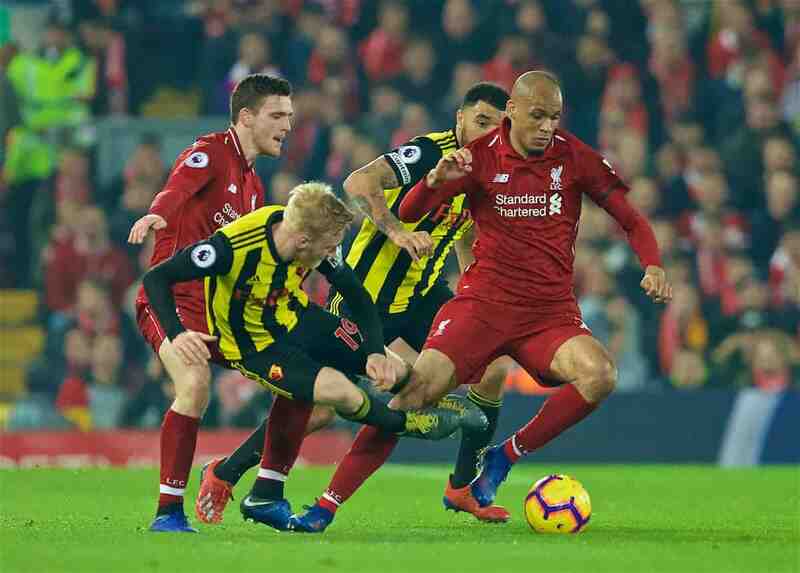 It’s Fabinho himself, though, who is seen as vital to the balancing act Liverpool must perform between not conceding chances and being attack-minded enough to actually win games, as they chase a Premier League title. 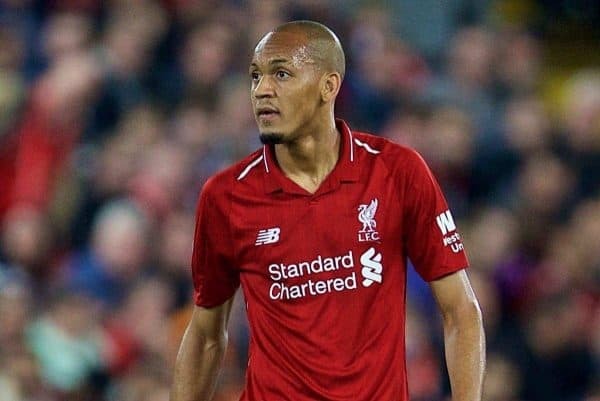 Speaking to the Telegraph, Fabinho has accepted that it was difficult earlier on while he had a watching brief, but his patience has clearly paid off. “It was a case of learning, watching and getting up to speed. Watching from the side-lines as to how the team works,” he said. “I needed time physically to improve [and for] the intensity of it. Being in midfield, in general, you don’t have a lot of time to think and in the Premier League that’s even less of the case. Considering he didn’t feature heavily in the first half of the campaign, his importance to the team now is highlighted by him playing the 10th-highest total of minutes in the squad. He is one of the few Reds players to have the experience of winning a league title in their careers already, something which come in handy as the pressure continues to grow in the coming weeks. “What I am seeing now I have seen before and obviously I am approaching it with optimism and belief that it can happen. “Right now we are winning games which are similar to the kind of games we were winning at Monaco and in this final part of the season, which is difficult. 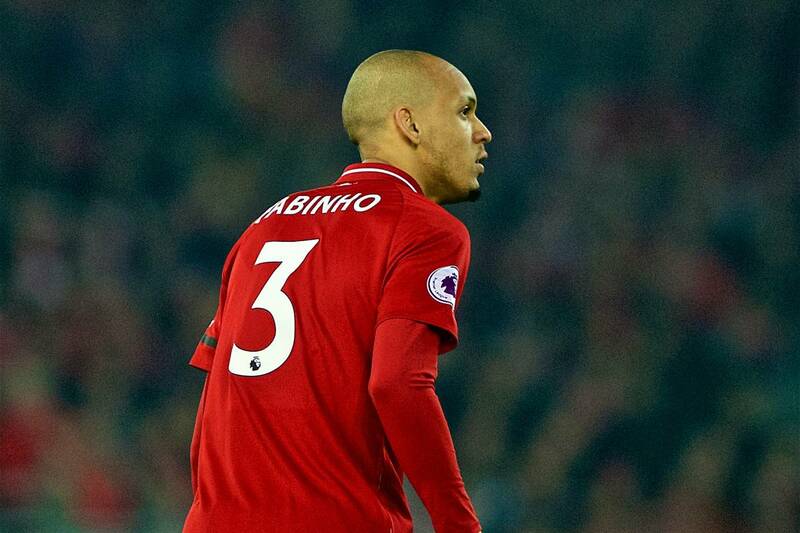 From a tactical perspective, Fabinho has been heralded as Liverpool’s “lighthouse” by assistant Pep Lijnders. That comes from the No. 3’s ability to remain calm amid an at-times raging style of play from the team. “Liverpool are known for this ‘rock and roll’ football. I think I’ve adapted well to this even if, as a player, I like to hold onto the ball longer. Fabinho will surely need that side of his game to be on show against Chelsea, as the Reds look to maintain the relentless run of victories they need to take the Premier League title fight to the wire.